Sydney, and the local residents who call themselves Sydneysiders, are a fun bunch to hang out with. Blessed with fantastic weather and a vibrant city nightlife, its hard to find reason to complain about a trip here. Except maybe the prices – many of Sydney’s classic tourist attractions are quite expensive, but who wants to go all that way and not see the Opera House or do the famed Harbour Bridge climb? When I visited I spent a lot of time with some Sydney locals, who showed me a thing or two about saving money and having a great time. Here are some suggestions. All the guidebooks have let the cat out of the bag on this secret, but you still have to do it. 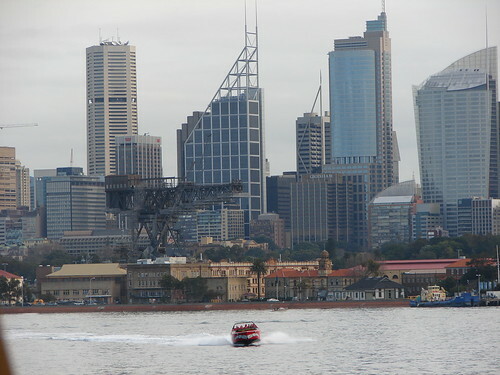 There are plenty of overpriced and over-hyped “sunset cocktail boat cruise” opportunities to see the Sydney skyline from the harbour, but really the same views can be had on the ferry that takes you to Manly. You’ll want to visit Manly anyway because it’s an adorable beach town, perfect for a few hours in the sun with a tin or two of beer, or perhaps a frozen yoghurt if you’re feeling a bit more hip. It’s a two-for-one shot and perhaps the best afternoon of the trip you’ll have. Don’t forget your camera. Haymarket is where Sydney’s Chinese district is located, but it also seems to be where all the locals send you if you want an inexpensive dinner. Really, any of the outlying neighbourhoods seem to have discount deals, but Haymarket pops up in conversation over and over again. 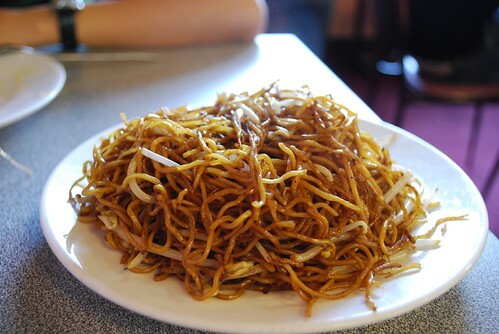 The big thing are noodles – there are several noodle bars that will challenge your idea of “ramen,” some are Japanese and some are Chinese. Thai is also huge in Sydney and Haymarket has its own share of tasty Thai restaurants. But as you’ll see throughout Australia, Asian influence is everywhere, so don’t miss out on the Malaysian and Indonesian restaurants as well. City fun is great, but this is Australia – a country so big it is a continent, and most of it emptiness. Well, you could easily hire a car and drive for days and days to explore some of the countryside, but a quick and easy train/bus trip will take you to one of Sydney’s nicest outdoor attractions, the Blue Mountains. They aren’t actually blue – but they do have a bit of a blue smoky haze that gives them that name. The region is a UNESCO World Heritage area, and from the train station you can get on a trolley tour or the park bus which will take you trails that will allow you to easily access many of the popular lookouts. Most popular is the Echo Point lookout, which has a big information centre, making it a good place to start. The Zig Zag railway is also popular, especially those with children (good discounts on family tickets), but if you have time check out Faulconbridge Point lookout and Govett’s Leap. Have you been to Sydney? What are your tips for inexpensive things to do?